There is nothing better on a hot summer day than a cold and delicious ice cream cone. 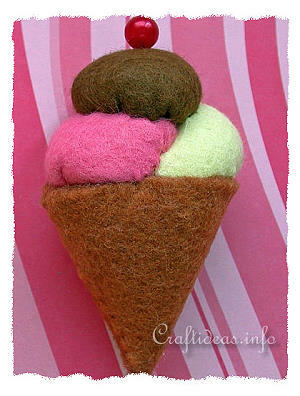 This felt craft is absolutely fun to make and can be worn as a pin or used anyway you like. 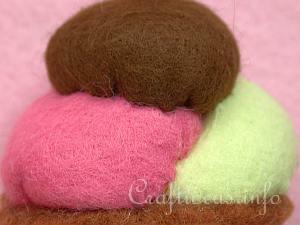 Choose felt in the typical vanilla, strawberry and chocolate colors or experiment with other yummy flavors. 1. Cut a 4 inch circle out of the thicker middle brown felt piece. Fold this circle in half and cut down the middle, creating a half circle. 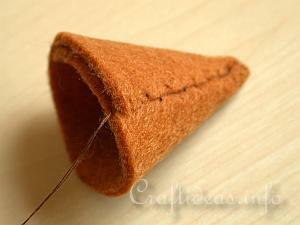 Fold this circle into a cone shape and sew the cone so that it retains its shape. 2. Cut out three 2.5 inch circles. 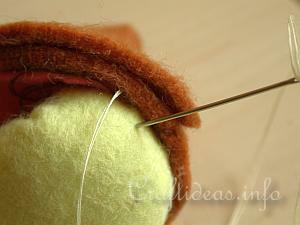 Sew a running stitch along the outer edge of each circle and leave the string hanging long. 3. 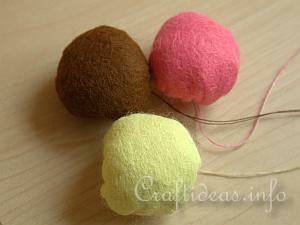 Now pull the string so that it closes each circle. Stuff each circle with batting and close off the hole by running a couple of stitches back and forth across the hole and pulling the string tight. Now you have 3 scoops of ice cream as seen in the picture below. 4. Stuff the cone lightly and cover the inside with a piece of felt to hide the stuffing. 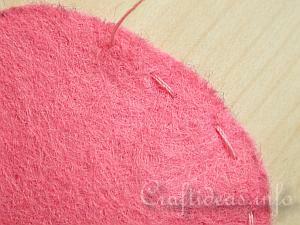 Now sew the first scoop to the felt. 5. 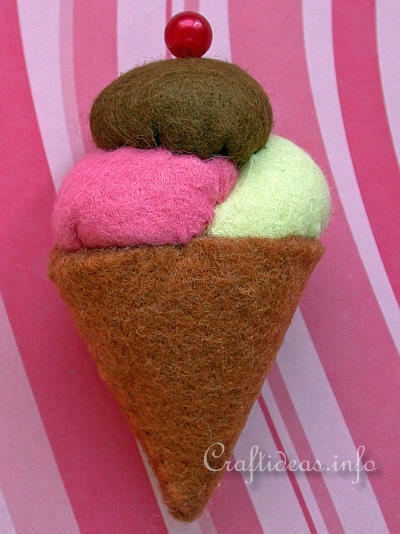 Now sew the remaining two scoops to finish off the cone.